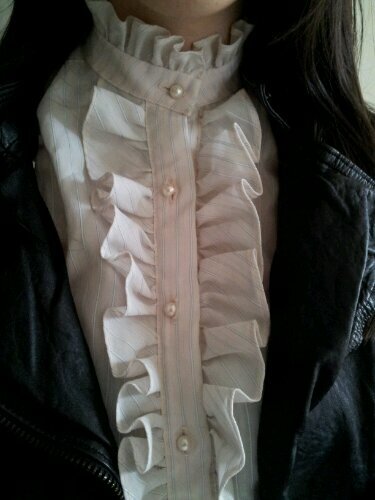 I love the contrast of the leather and the victorian style ruffle top! 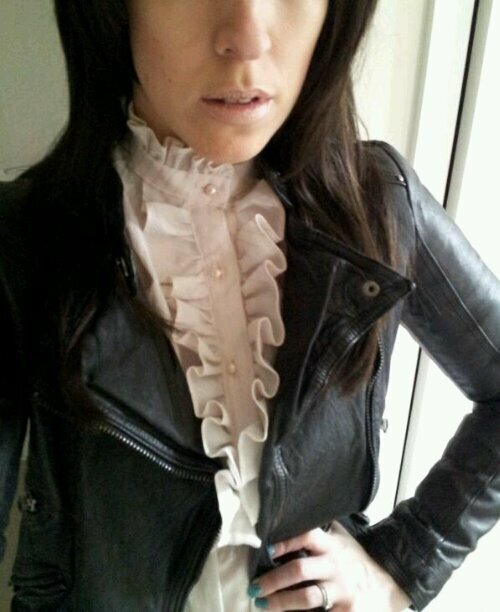 Leather jacket by Zara and vintage top. Previous Post New Jewellery Storage! 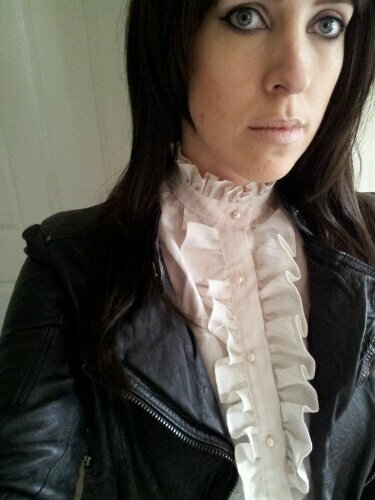 Love the shirt and leather jacket combo.